Let there be light. Just not blue light. The blue light emitted by our computers and digital devices is getting a bad rap these days, as some scientists have warned that exposure to blue light before bed can trigger alertness, reduce melatonin levels, and delay or disrupt sleep. As a result, we’re seeing a whole new niche of consumer products designed to protect us from blue light—such as blue light blocking glasses for computer use, a blue light filter for mobile phones, and blue light screen filters for your e-reader. Growing up in the digital age, today’s kids are particularly vulnerable to any adverse health effects from blue light exposure. Guidelines released by the American Academy of Pediatrics warn about the ill effects of digital media use among children, including an increased risk of disrupted or delayed sleep, and screen time’s potential to negatively affect school performance. Parents are catching on that blue light might be something to worry about, especially with teen and tween children who spend time on their devices before bed. Yet many parents don’t know what blue light really is, or exactly how it can affect their children (and themselves). Part of the electromagnetic spectrum, visible light is composed of a rainbow of colors—violet, indigo, blue, green, yellow, orange, and red—each corresponding to a different wavelength. When combined, this rainbow spectrum becomes the white light that is visible to the eye. Blue light has a very short wavelength; therefore it produces a greater amount of energy. Electronic devices emit a high concentration of blue light so they can remain visible under bright conditions. Scientific evidence is strong that exposure to blue light can increase our alertness—and alertness is the last thing we need when we’re trying to fall asleep. A 2008 study was among the first to reveal that exposure to blue light may also suppress the production of melatonin, the hormone that regulates sleep and wakefulness. Other studies have shown that light-emitting devices can have adverse effects on sleep, circadian rhythm, and next-morning alertness. A few of these studies pertain to kids. A 2016 study of children ages 6–19 found strong evidence that screen-based media use around bedtime reduced both the quality and quantity of their sleep, while increasing daytime sleepiness. There is some concern that exposure to too much blue light over time can lead to macular degeneration, or permanent damage to the eye. Yet there is currently no significant scientific evidence linking macular degeneration to blue light from electronic devices. What Can Parents Do to Protect Kids from Blue Light? Many parents impose a digital curfew on their kids, making sure they wind down with device-free time before bed. Some home Wi-Fi systems have parental controls that automatically turn off Internet access to your kids’ devices at a certain time each night. Experts suggest powering off about one to two hours before bedtime, so the body can increase production of sleep-regulating melatonin. the brightness of the computer screen. And for kids who gaze at their handheld devices well into the night, apps are available that reduce the screen’s blue light at a certain time each evening (the screen will take on a slightly orange-ish color, for better or worse). 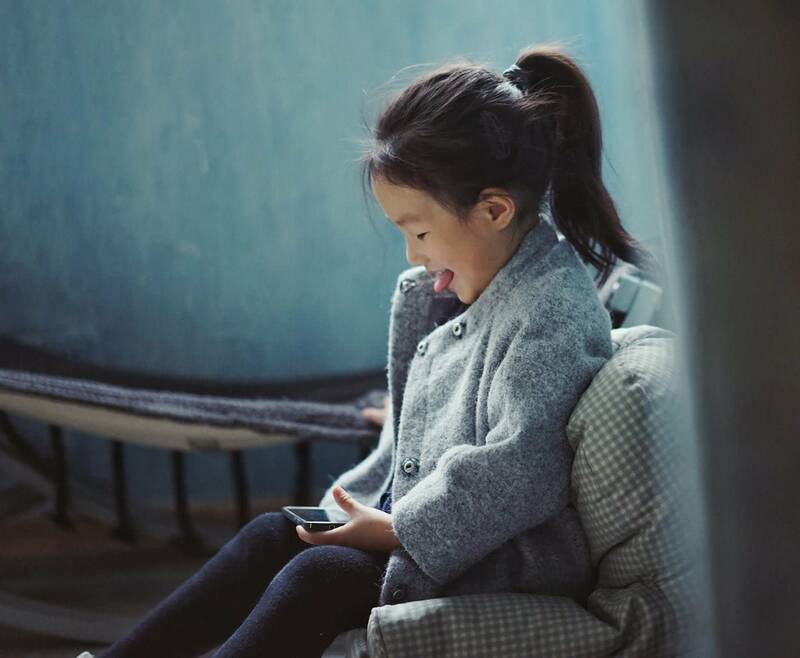 Perhaps the best thing parents can do is practice what they preach, refraining from screen time themselves after a certain time each evening. Then the whole family might reap the benefits of better sleep at night, and increased alertness and productivity during the daytime. To inquire about glasses that block blue light, talk to your eye care professional Cohen’s, or drop by to browse the selection. Find a store near you.